I'm not a super big highlight person, I'll just get that out there right now. 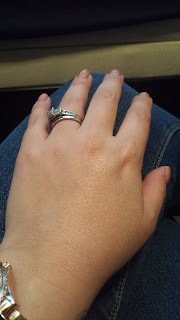 It's not that I don't love a good highlight and it's so beautiful on so many people, but since I have a natural sheen (a.k.a. I'm super oily) I tend to only use a tiny tiny amount, if any. That's why it was really weird for me to even look at this product, much less buy it, but I am so glad I did. 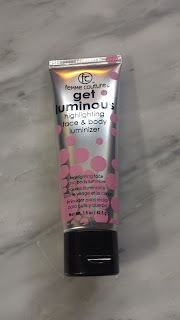 What really sold me was that it was also a body luminizer. I've always loved the idea of having beautifully luminized skin in the summer and this product doesn't disappoint. 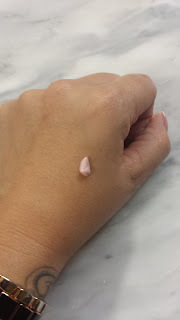 While I think it would make a beautiful highlight, either stippled on the cheek or mixed in with a foundation, it is absolutely gorgeous on the body. I used a tiny bit on my neck and shoulders and some down the front of my legs and my skin looked so glowy and pretty, perfect for summer. And a small bit goes a very long way so this bottle will last a long time. This was super cheap, I only paid a couple dollars for this 1.5 oz bottle, and a little goes a very long way. I purchased this product at Sally's Beauty Supply. I love that this product has a pinky tinge. So many body illuminzers are bronzey and as someone who is on the pale side and doesn't fake tan (or real tan for that matter) I feel like the bronze ones can be too dark. This one is super pretty and leaves a beautiful sheen. 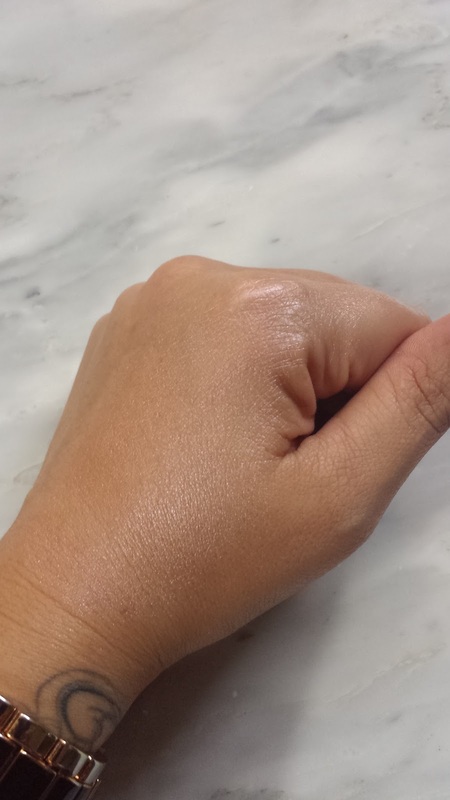 The light reflection makes the color appear to be a pinky gold which is amazing on the skin. How do you guys feel about body luminizers? Have you tried any good ones?